Food & Beverage has all the right ingredients to manage your complex operations and compliance requirements. This complete, yet flexible solution offers deep, proven end-to-end capabilities for all your critical processes. 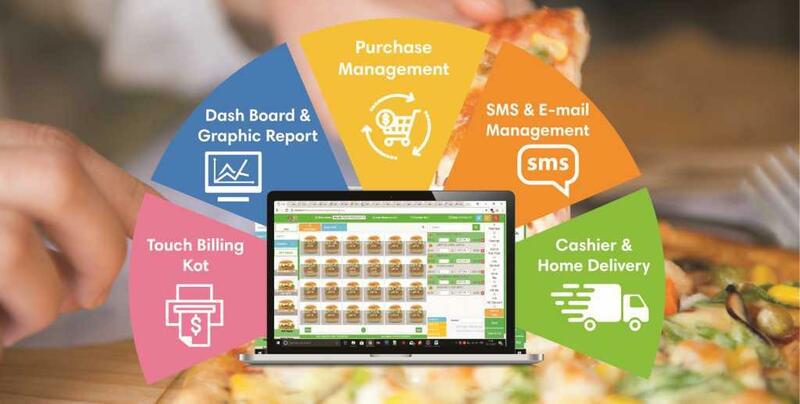 The suite of solution comprises of integrated functionalities of Retail Store Operations, Point of Sales, Sales & Distribution and Kitchen Process(recipe management) for food court, cafe, bar, ice cream parlor, Quick service(QSR) It can integrate all business organization or departments like Payroll, Accounts & Finance, CRM and e-Commerce with all the above departments or business units. Enable with multiple services for POS at Food Courts, Fine Dining, Take Away and Home Delivery. Kitchen and Bar Order Ticket Management with display system. Recipe and Inventory management at back office. Order processing and Material replenishment. Centrally control over menu pricing at POS. Multiple outlet management at Food Court. Combos and Packages of menu item.